A day in the lives of two convenience clerks as they annoy customers, discuss movies, and play hockey on the store roof. When Dante Hicks (Brian O'Halloran) is reluctantly put in charge of the Quick Stop market on his day off, he tries, though half-heartedly, to perform his minimum-wage duties as efficiently as possible. This gets tough amidst the on-going fight with his girlfriend, Veronica (Marilyn Ghigliotti), and his attempt to get back together with his ex-girlfriend, Caitlyn Bree (Lisa Spoonhauer). Meanwhile, his friend and alter ego Randall (Jeff Anderson) is working behind the counter of the adjacent video store -- at least when he feels like it. Randall's unabashed disdain of his place of employment, a long with his self-admitted hatred towards its customers is a sharp contrast to Dante's feeble attempts at the niceties of customer service. 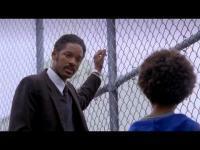 Much of the film consists of Randall and Dante's criticism of their customers, their lives, and the world in general. 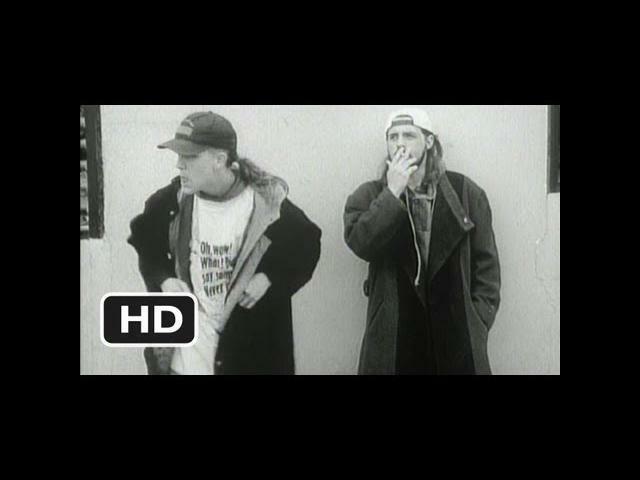 Clerks, filmed in black-and-white on a budget of only $27,000, began the career of writer director Kevin Smith, who would go on to make Mallrats (1995), Chasing Amy (1997), Dogma (1999), and Jay and Silent Bob Strike Back (2001).